Open the front door, and prepare to be WOWED!! 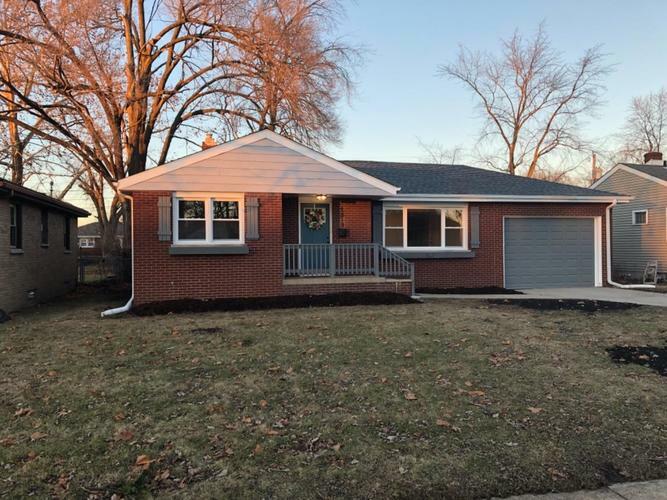 Preferred homes did an amazing job on this Brick Ranch! ALL NEW Kitchen with Lovely Granite, Designer Tile Backsplash, New Crisp White Cabinets, Elegant Chandeliers, and Stainless Steel Appliances. ALL NEW BATHROOMS with Gorgeous Tile baths. HUGE Recreational Room in Lower Level. Spacious Finished Laundry Room. Master Suite on Main Level. Tons of Storage. NEW ROOF!! NEW WINDOWS. NEW Electrical including Panel! NEW Plumbing fixtures. Fenced in Backyard. Attached Garage. Awesome Area- close to Kennedy and 80/94! This is THE ONE!!! Directions:Kennedy to Strong. Home will be on the Left. Listing provided courtesy of Premier Region Real Estate.